AVB-networked GALAXY processors drive LEO Family loudspeakers at Orange, Arena, and Pavilion stages at festival in Denmark. 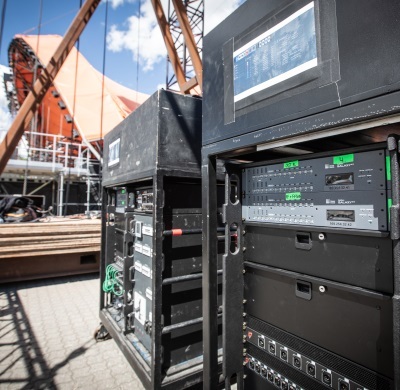 AVB networks were employed as the signal backbone for Meyer Sound systems at three stages of the 2018 Roskilde Festival in Denmark, marking the first time the technology has been used to interconnect the company’s GALAXY network platforms for a major European rock festival. The fiber optic networks were configured for the event’s two largest stages, Orange and Arena, using new Luminex GigaCore 10 switches while the smaller Pavilion stage employed switches by Extreme Networks. Compared to multiple analog or AES3 digital streams, use of AVB networks at Roskilde reduced set-up time and simplified system configuration while delivering stability and trouble-free reliability. 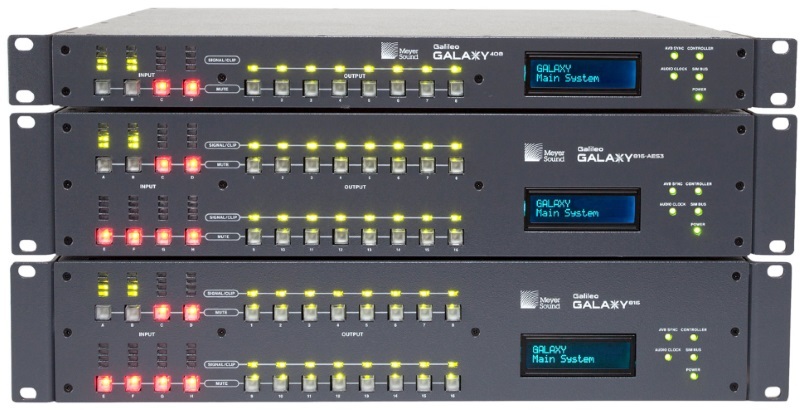 In addition to linking audio signals for the GALAXY processors, the networks also carried all data for comprehensive, real-time system monitoring using RMServers. Roskilde also marked the first use of the Luminex switches as an integral component of a Meyer Sound GALAXY network platform, and it was an auspicious debut, according to McCarthy. At the Pavilion Stage, where four networked GALAXY processors linked a 58-loudspeaker system based around LEOPARD and LINA line arrays, the eclectic mix of international artists included Oh Sees, Myrkur and Sacred Paws. Meyer Sound systems were deployed at all stages for the 2018 Roskilde Festival for the first time under a long term partnership agreement between Meyer Sound and festival management. All systems were supplied by the Bright Group, Scandinavian supplier of large-scale event technologies. 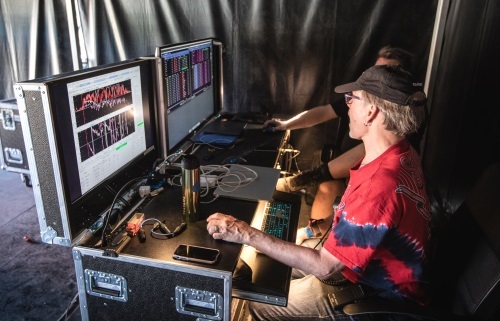 System deployment, configuration, tuning and operation involved a team effort on the part of Bright technicians, Meyer Sound technical support, and members of Roskilde Festival’s own skilled tech staff, most of whom received special advance training for their key roles in the event. AVB provides reliable, deterministic and future-proof media networking as defined by IEEE standards. AVB now incorporates the new Milan protocol, introduced earlier in 2018, which enables a streamlined certification process through the Avnu Alliance that guarantees seamless interoperability among networked AV devices. Both Meyer Sound and Luminex actively participated in formulation of the Milan protocol.